Happy Friday readers! 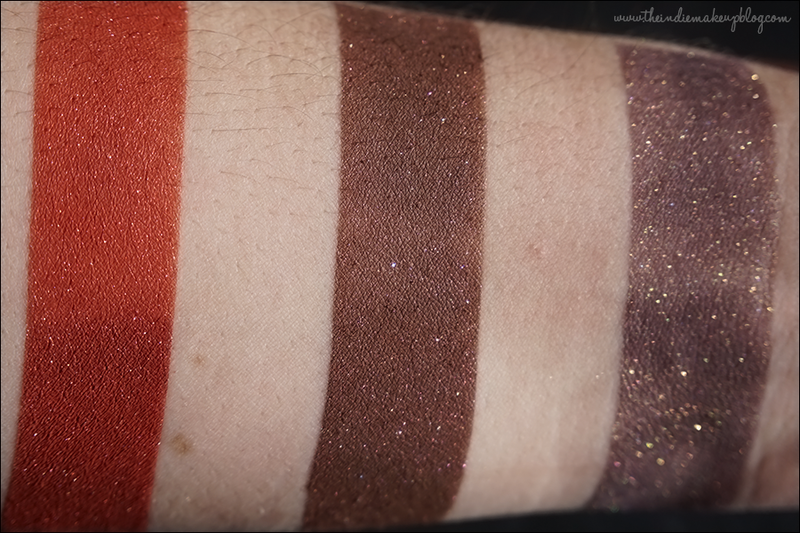 I'm back with the second installment of swatches from the Corvus Nevermore collection. Here's the link to yesterday's post on the cooler shades in case you missed it. 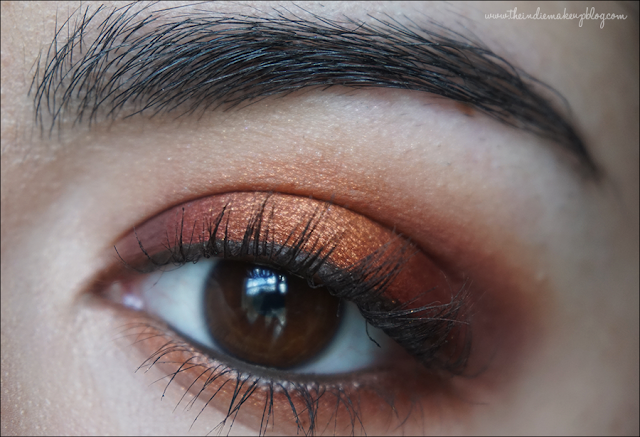 I'm so glad the sun decided to cooperate during swatching today to do these warm tones justice. The Last Jest (not vegan, lip safe) is a blood red with gold shimmer. Love this color. 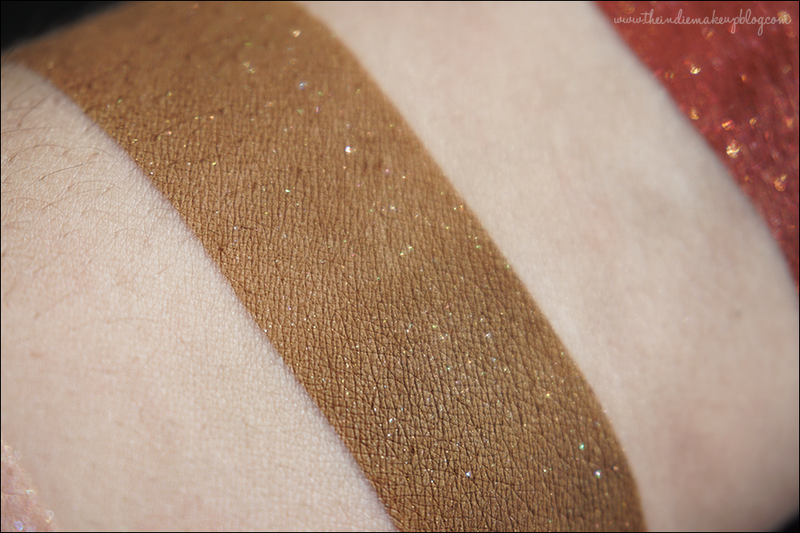 Catalepsy (vegan, not lip safe) is an olive-toned camel brown. I like this shade quite a lot since it's mostly a matte finish and leans more green than a lot of browns. 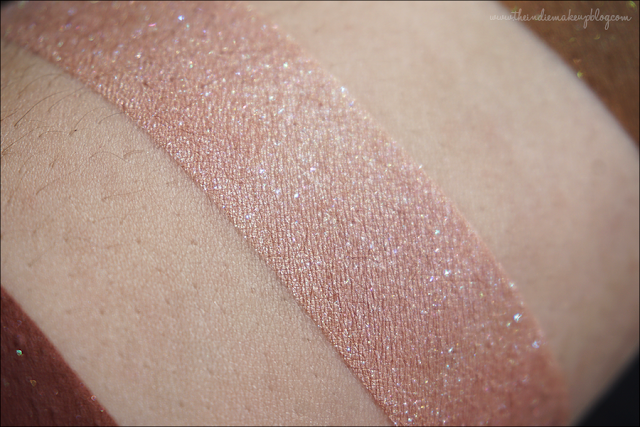 I'll probably pick up a mini of this one to use in the crease. Thy Love Lenore (vegan, not lip safe) is a pale pink with a blue shift. 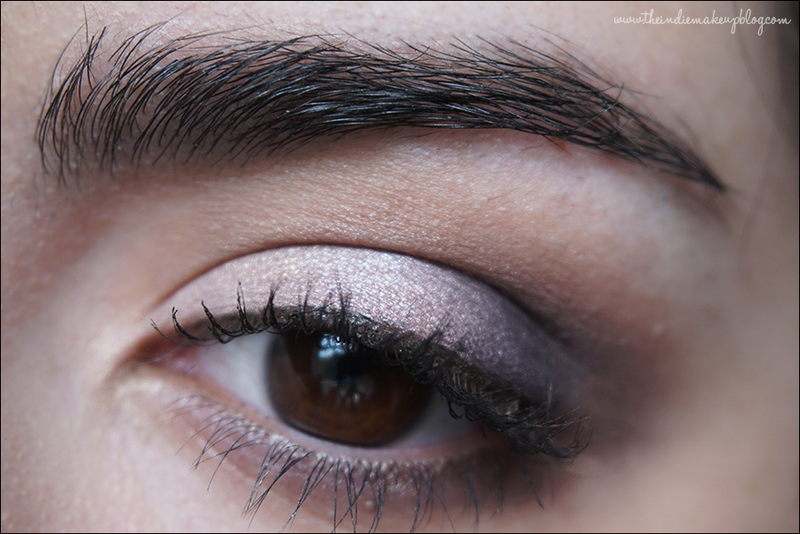 This color is feminine and girly while the blue gives it some visual interest. 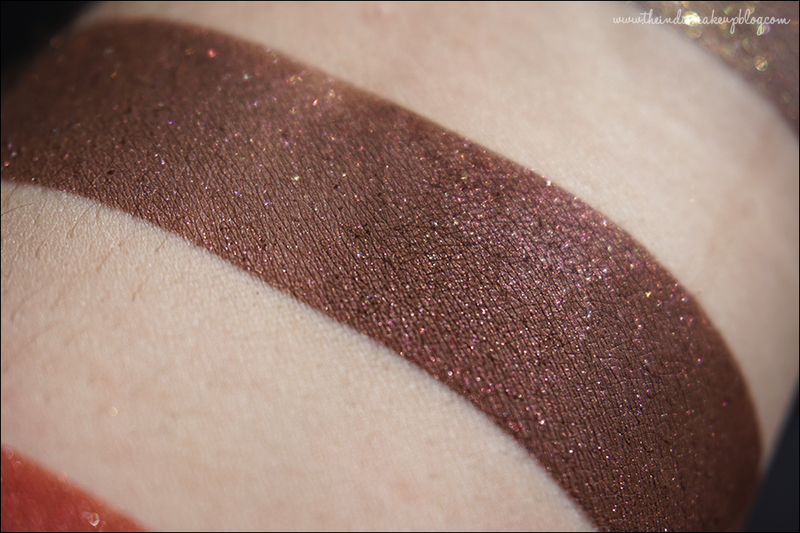 Berenice (not vegan, lip safe) is a dark red-brown matte. I've been looking for a good deep reddish brown and this fits the bill perfectly. Berenice was originally released as an old COTM but was reintroduced into this collection. Ourang-Outan (not vegan, not lip safe) is a shimmery orange copper. 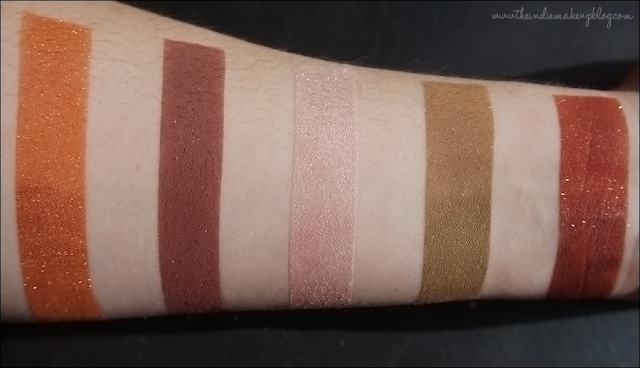 Left to right: Ourang-Outan, Berenice, Thy Love Lenore, Catalepsy, and The Last Jest. Nevermore (not vegan, not lip safe) is a cool purple with gold and multicolored shimmers. It seems a little cooler than Corvus Nixie but otherwise pretty similar. 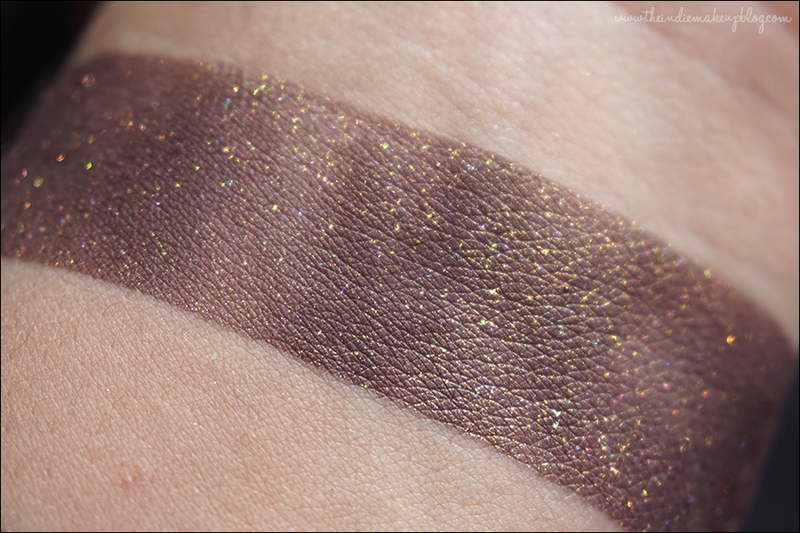 Taphophobia (not vegan, lip safe) is a gorgeous chocolate brown with violet shimmer. 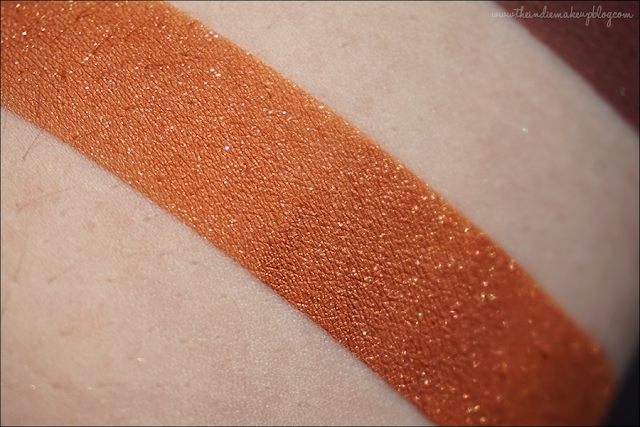 This color looked pretty unassuming in the bag but man is it gorgeous when applied. 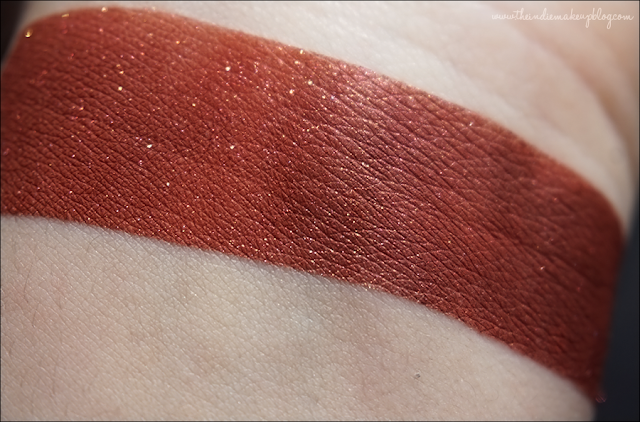 Amontillado (not vegan, not lip safe) is a brightened red with slight shimmer. Left to right: Amontillado, Taphophobia, and Nevermore. 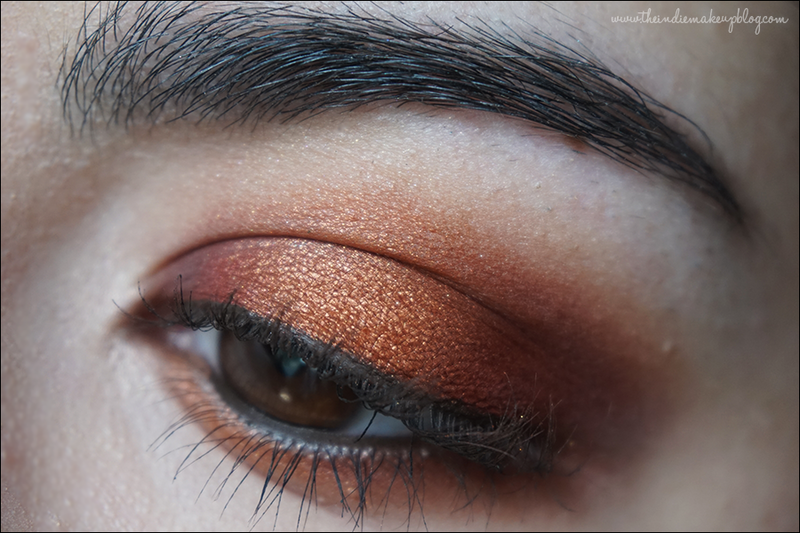 Wearing Corvus Goodbye Hans, Ourang-Outan, Amontillado, Berenice, and The Last Jest eyeshadows. 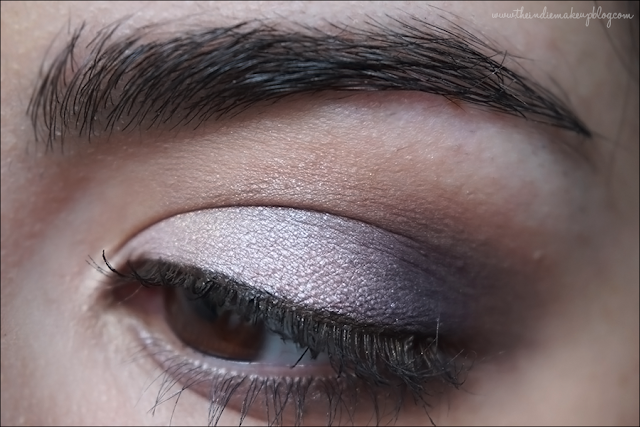 Wearing Corvus Taphophobia, Maiden, Thy Love Lenore, and Nevermore eyeshadows. My favorites from this half are The Last Jest and Catalepsy. I think this collection has a nice mix of colors in here, ranging from cool to warm. I'm glad that Corvus is now doing minis since I always prefer those to full size jars. I'll definitely be grabbing minis of those two plus Phantasm, Putrescence, Scimitar, and maybe Hellusion since it's such an interesting color!